Whew. This project almost didn't get done this week. I got in my bead soup from Bonnie and I was having fun playing with that when BAM my fibro started to act up. Our prompt for this week was multiples. My original plan was to make a couple bracelet using these fun acrylic beads. 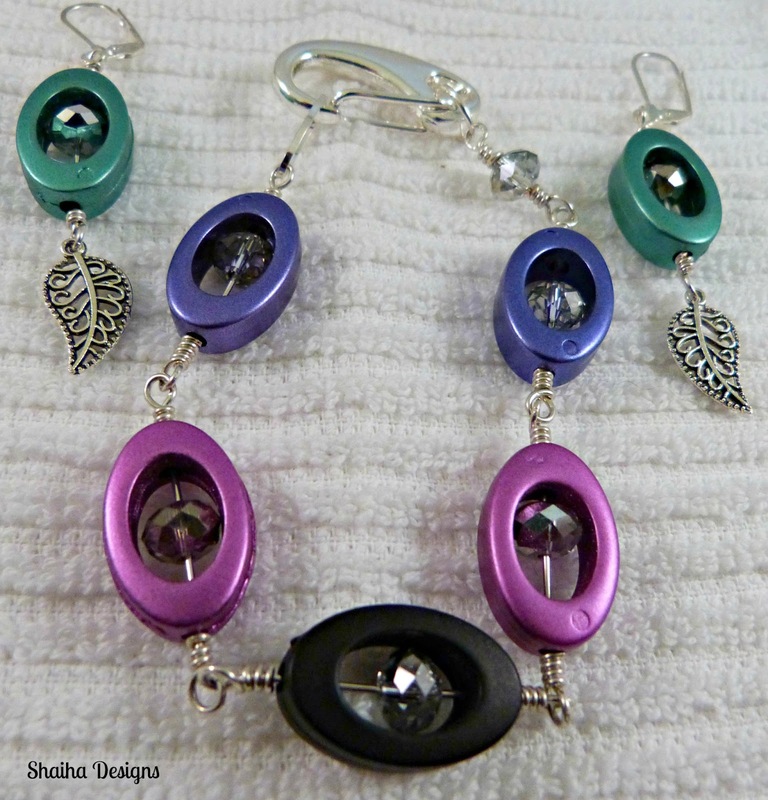 As I was running out of time however I had to settle for one bracelet and earrings which form a set. I decided that a set is also multiples. I still have the other bracelet laid out on my work table and I plan on finishing it up this weekend. This set is also for sale. The bracelet alone is $20, the earrings alone are $15 or you can get the entire set for $30.